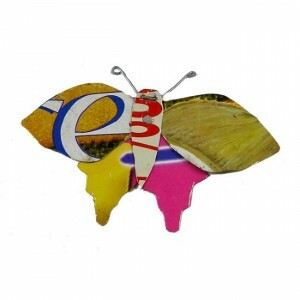 Our sweet Butterfly Pin comes from Kenya. We obviously love this pin for all the RIGHT reasons! Because these lil’ beauties are all original and handmade, they vary in color. Made from recyclable tin.